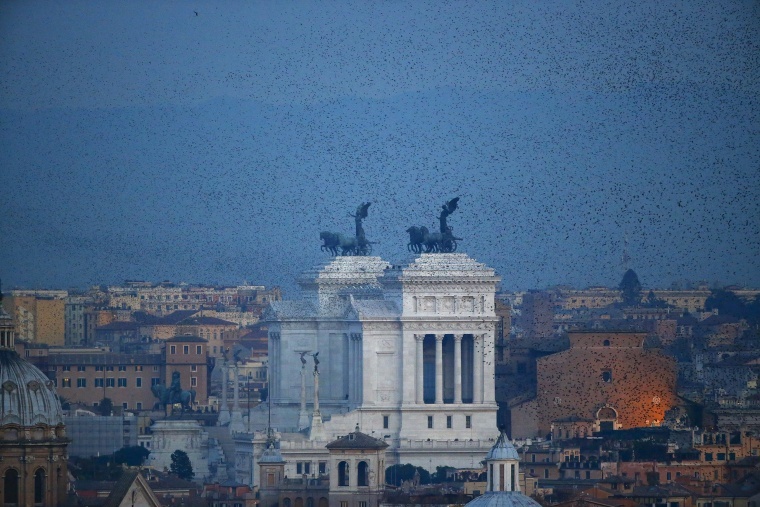 A flock of starlings flies in the dusk sky over Rome, Italy on Dec. 15, 2015. 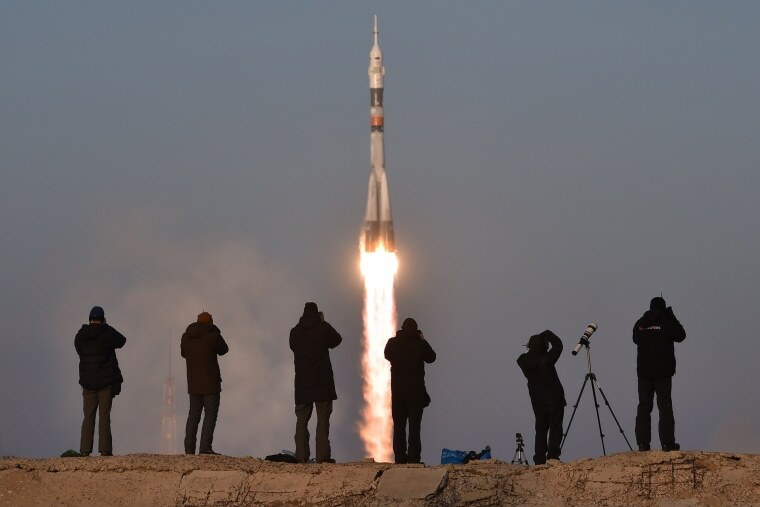 Photographers take pictures as Russia's Soyuz TMA-19M spacecraft blasts off carrying the International Space Station Expedition 46/47 crew at the Russian-leased Baikonur cosmodrome on Tuesday. 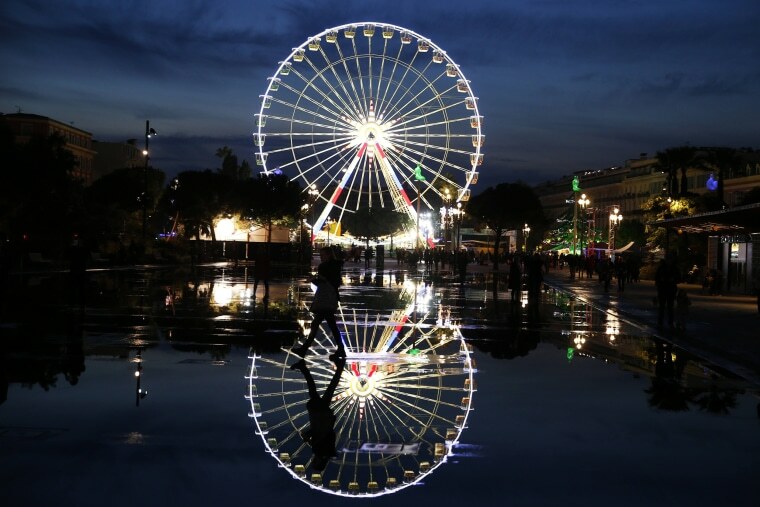 People walk in front of the Ferris wheel set up for Christmas in downtown Nice, France on Tuesday. 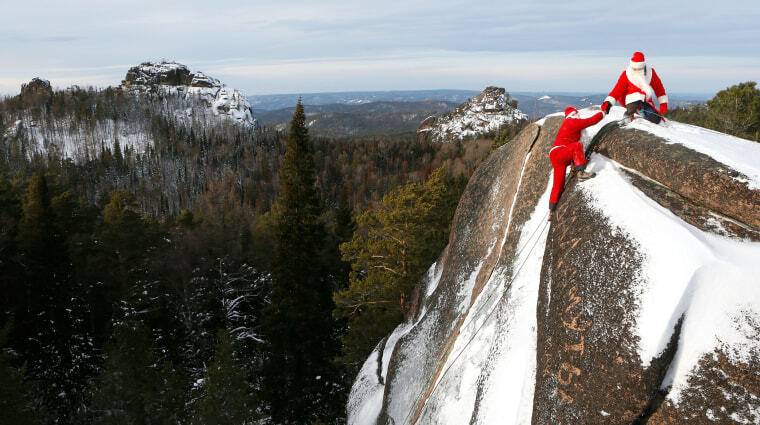 A member of the "Sibspas" Siberian search and rescue group dressed as Santa Claus, shakes hands with his teammate, dressed as Father Frost, the Russian equivalent of Santa Claus, as they climb to the rock named "The Fourth Stolb" (the Fourth Pillar) at the Stolby National Nature Reserve during a training session of the Russian Emergencies Ministry outside Siberian city of Krasnoyarsk, Russia on Tuesday. 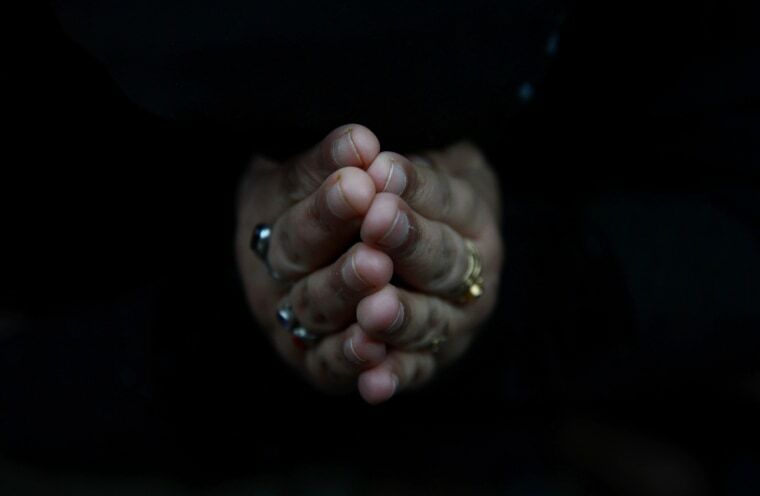 An Kashmiri Muslim offers Khoji Diggar (special late afternoon prayers) at a shrine dedicated to Baha-ud-Din Naqshband Bukhari, the Uzbekistan-born founder of what would become one of the largest and most influential Sufi Muslim orders, the Naqshbandi, in Srinagar's Khawaja Bazaar area on Tuesday. 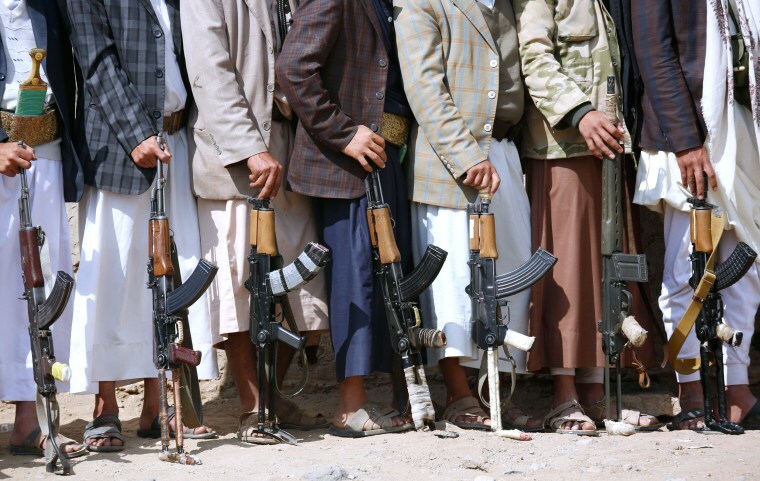 Shiite tribesmen, known as Houthis, hold their weapons during a tribal gathering showing support for the Houthi movement in Sanaa, Yemen, on Tuesday. A tenuous ceasefire is holding in Yemen despite some violations, as U.N.-brokered peace talks between the country’s U.S. and Saudi-backed internationally recognized government and Shiite rebels start in Switzerland. But with both camps’ positions unchanged and little sign either is ready for compromise, observers are not expecting much. 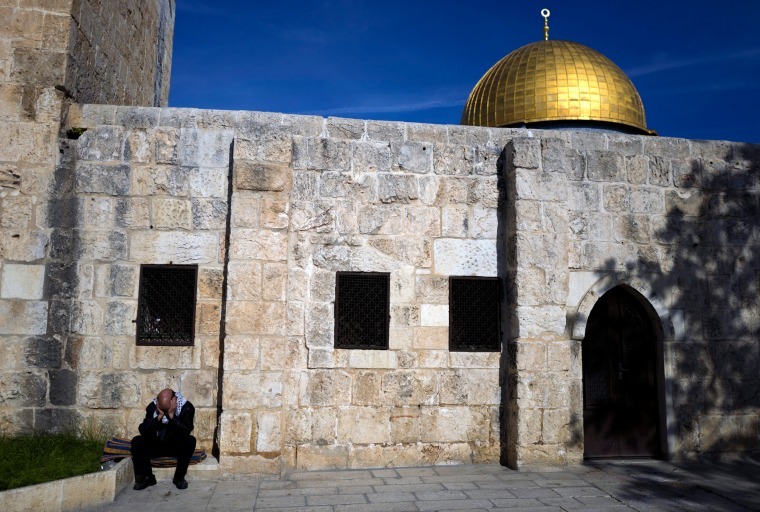 A Muslim man sits outside the Harim el Sharif (The Noble Sanctuary), or the Temple Mount, with its distinctive golden Dome of the Rock in Jerusalem's Old City, on Tuesday. Israel retains control of the holy site, maintaining the so-called 'status quo' where Jews are able to visit the area, although they are not allowed to pray. 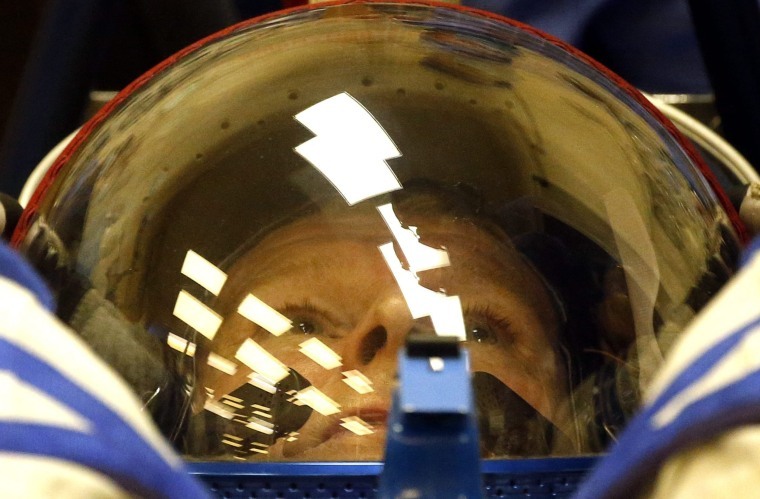 British ESA astronaut Timothy Peake, a member of the International Space Station expedition 46/47, tests a space suit during pre-launch preparations at the Baikonur cosmodrome in Kazakhstan, on Tuesday. 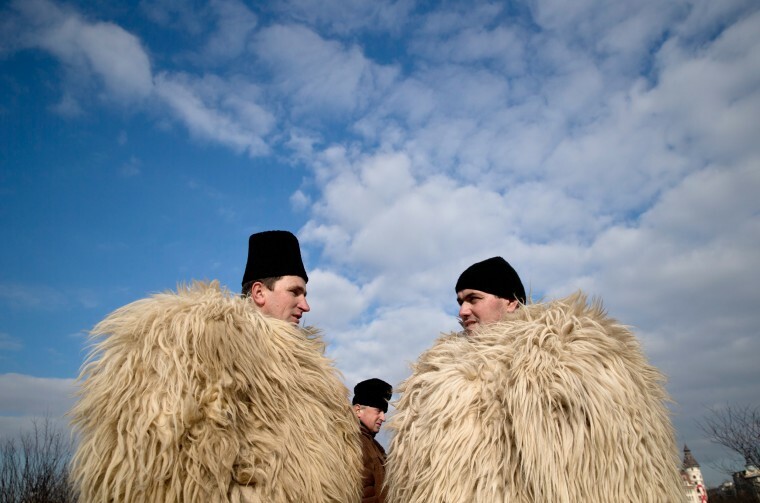 Shepherds talk during a protest in Bucharest, Romania, on Tuesday. More than 1,000 angry shepherds broke through fences into the grounds of Romania’s Parliament, scuffled with riot police who fired tear gas, to protest a law that regulates the number of sheepdogs they can use and bans them from gazing sheep during the winter.